Based in Berlin, CT, Sensible Home Products is a full service roofing installation and repair company that is capable of performing new roof installations, roof restorations, roof maintenance, and roof repairs for residential or commercial properties of any size and scope. We pride ourselves on providing the highest quality craftsmanship by utilizing innovative installation methods combined with our many years of experience. Our strong dedication to providing the best possible roofing services for each of our clients and to ensure that they are satisfied with the finished product has helped us to build a reputation as the premier roofing contractor in the Hartford County, CT region. Sensible Home Products has performed many residential and commercial roof installations and repairs throughout the Hartford area and he fully understand the importance of having a strong roof installed in order to protect your greatest investment from the harsh weather elements. We offer no-cost consultations and estimates and will arrive at your property to evaluate the condition of your roof and clearly explain to you all of the necessary steps involved in repairing or installing your new roof within your desired time frame and budget. Once we have performed a full inspection of your roof, we will put together a detailed proposal that will list all of the elements and costs of the project. We will utilize high quality materials such as IKO`s Cambridge premium architectural shingles and explain to you each of the materials and options that are available to ensure that you will receive the greatest value from the project. There are many Connecticut roofing contractors that will attempt to turn a greater profit by recommending a full roof replacement when it may not be necessary. When you work with Sensible Home Products, we will offer an honest assessment of your roof, and if all you will need is a minor repair, then that is what we will suggest for you. Sensible Home Products uses the highly rated Owens Corning roofing shingles, which offer durability and protection to the structure of your home or commercial facility. 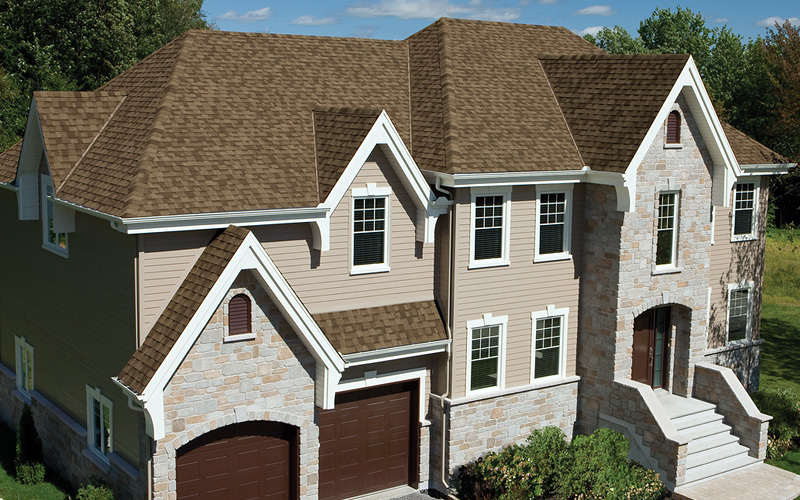 Owens Corning roofing shingles are available in a large assortment of color blends that can blend seamlessly with the style of your home. When you choose Sensible Home Products, for your roofing requirements, you’re investing in quality-assured construction methods, unsurpassed performance & reliability. We stay ahead of the competition with our top-notch quality Hartford roofing contractor services. Contact us today to schedule your no-cost consultation and estimate!